For over thirty years, WestCoast Entertainment has presented the Best of Broadway in Spokane. Beginning in 2017-2018, they are joined by title sponsor STCU in bringing national touring Broadway musicals to the INB Performing Arts Center. The Broadway series has been renamed to STCU Best of Broadway. All performances will be held at the INB Performing Arts Center (with the exception of The Pedro Martinez Group which will be held at the Fox Theatre). Tickets are available at wcebroadway.com and by calling 800-843-4667. 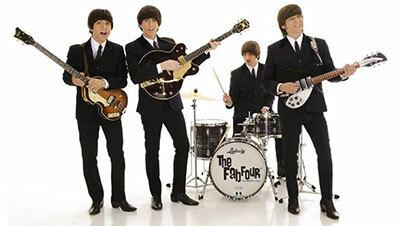 The Spokane Symphony Orchestra, with Conductor Morihiko Nakahara help you relive the days of Beatlemania with Emmy Award-winning Beatles tribute band, The Fab Four, bringing the Beatles' timeless hits to Spokane. The Fab Four is founded by John Lennon impersonator Ron McNeil and they have made a name for themselves as the best Beatles Tribute Band around, playing note-for-note renditions of Beatles' songs that are so precise it feels like you're watching the real thing. Performance is this Saturday, April 29 at 8pm. Tickets available at the Box Office, by calling 509-624-1200, and at www.ticketswest.com or 800-325-SEAT. More concert information is available at www.spokanesymphony.org. Mother Nature extends TulipFest at Arbor Crest! 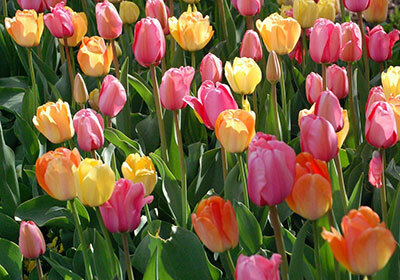 Tulipfest continues at Arbor Crest Winery, so stop by to view thousands of tulips, daffodils and other Spring bulbs coming into bloom at the Cliff House Estate. The TulipFest Facebook Photo Contest, with a chance to win $200 in Concert admissions, has been extended through Spring Release and Mothers Day Weekend, May 14. Visit the website for more contest information, and viewing hours for Tulipfest at arborcrest.com. This weekend is the final Friday & Saturday for Fireside Music at Arbor Crest. This Friday, April 28, Spare Parts Duo will perform soft rock favorites, and on Saturday, April 29 Isaac Walton will play alternative folk rock. Fireside Music runs 5:30-7:30 (no cover), and the Estate is open until 8pm. Food, wine and beer available for purchase. The Spokane String Quartet will perform award-winning works entitled 'Visions of Native America,' by four young Chickasaw composers. The show is at a 3pm this Sunday, April 30 at the Bing Crosby Theater. Ticketswest has your seats at www.ticketswest.com or 800-325-SEAT. 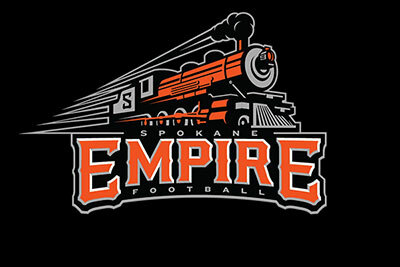 The Spokane Empire arena football team takes on the Salt Lake Screaming Eagles this Sunday, April 30 at 4pm in the Spokane Arena. Contact Ticketswest at www.ticketswest.com or 800-325-SEAT. 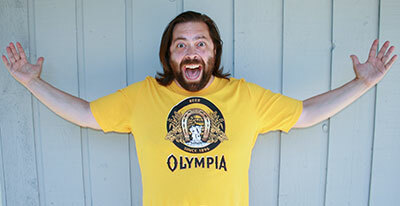 The Spokane Comedy Club, at 315 West Sprague, presents Gabriel Rutledge, winner of the prestigious Seattle International Comedy competition. He's doing four shows this week. Thursday & Friday, April 27-28 at 8pm and Saturday, April 29 at 8 and 10:30pm. Go to spokancomedyclub.com for tickets and more information. Gonzaga Symphony Orchestra and Director Kevin Hekmatpanah will be joined by Alon Goldstein, one of the most original pianists of his generation, for a special concert on Monday, May 1, 7:30pm at the Martin Woldson Theater at the Fox. They will perform Mendelssohn's Piano Concerto No. 1. Tchaikovsky's Symphony No. 3, 'Polish' is also on the program. Tickets are available at the Box Office, or by calling 509-624-1200. They are also available online and at all TicketsWest outlets. For more concert information, visit www.gonzagasymphonyorchestra.com. 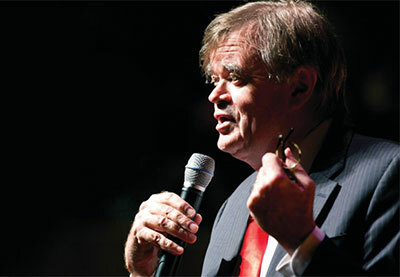 Garrison Keillor's Prairie Home 'Love and Comedy' Tour with Richard Dworsky & The Roadhounds, Aoife O'Donovan, and Fred Newman is coming to Martin Woldson Theater at The Fox on Wednesday, August 16 at 7:30pm. Tickets are on sale now and available at the Box Office, by calling 509-624-1200. They are also available online and at all TicketsWest outlets. For more information on the event, visit www.foxtheaterspokane.com. Trackside Studio Ceramic Art Gallery will feature the ceramic works of LH Project Resident Artist James Tingey and LH Project Founder, CEO and President Jakob Hablacher for the month of May. Featured works will include large scale sculptures representing Jakob's work impacted by his experience witnessing the falling of the Berlin Wall and remaining captivated and transfixed by 'Blast Walls' whether modern or ancient. James Tingey is the LH Project Resident Coordinator and Studio Technician. The LH Project is a non-profit residency program in Joseph, Oregon catering to Artists who imbibe in the Ceramic Arts. There will be a First Friday Reception on Friday, May 5 from 5-8pm and the exhibit will continue through May 31 with gallery hours, Tuesday through Friday, 10am-2pm. For more information, visit www.TracksideStudio.net.